When it comes to chronic pain, how do patients and doctors find the right treatment? The findings raise a lot of questions about the right approach to managing pain, particularly chronic pain. So earlier this week, we asked listeners on Facebook and Twitter to share their questions about treating chronic pain. For answers, NPR's Ari Shapiro turned to Dr. Ajay Wasan, professor and vice chair for pain medicine at the University of Pittsburgh Medical Center. For treatment of chronic pain, especially arthritis pain, higher doses of acetaminophen have been recommended, and there are good studies supporting that it can be quite effective for pain. You get a cumulative effect with the higher doses. Those can also be associated with a rise in liver enzymes for some people. It would be very rare for those enzymes to reach a toxic level that would cause liver damage, but we don't know what percent of people get that little rise in liver enzymes, or the chances that a slight increase in liver enzymes will lead to liver damage. It raises a very excellent point, that nonopiate medications have some side effects as well. We know anti-inflammatories can have significant side effects — in general the side effects of opioids are greater — but both nonopioids and opioids do have side effects. Why isn't acupuncture part of the discussion as an alternative for opioids? It seems like a simple, noninvasive, nonaddictive alternative to painkillers, but most insurance plans don't cover it for this purpose. Is there any work being done to evaluate its effectiveness? — Rachel Esser of Tampa, Fla. There's a lot of research going on for the effectiveness and the mechanisms for acupuncture. The literature suggests that for chronic low back pain, and chronic knee arthritis pain, acupuncture can be effective. Just like many treatments for chronic pain, it tends to be a subset of people, approximately 20-30 percent, that get significant improvement with acupuncture. And it's a good point as to why it's not better covered, because many of our treatments for chronic pain really only confer improvement to 20 to 30 percent of people. We often have to try different things and combine different treatments — the term we use is multimodal pain treatment. The other thing is this issue of insurance coverage. A lot of physicians, like myself, have pushed for that, and there are a few more progressive insurance companies that are starting to cover acupuncture. University of Pittsburgh medical center does have some coverage for acupuncture in their health plan, but it's an outlier. Another listener points out that physical therapy, which can help ease pain, is far more expensive than an opioid prescription. Is there an important role for insurers here? This is a wonderful point, and it's such a vexing issue for anyone who treats chronic pain. Some of the treatments that have been proven more effective, and safer, and have better outcomes, such as physical therapy, may have a $20 to $40 copay, for each visit, versus an opioid which might have a $5 copay for an entire month's supply. So it's a huge problem that insurance companies, I think, need to contend with across the country. There are all sorts of hidden additional costs with prescribing an opioid, and in the long run, it may be that using these nonopioid approaches, like physical therapy, and other medications, really provides the best improvement in chronic pain but also lowers costs. This is a really hot topic in the field of chronic pain. Very recently, the state of Pennsylvania has a medical marijuana law, and it's starting to be available here in Pittsburgh. When you look at all the studies, you see some of the same patterns for the effectiveness of medical marijuana as you see for a lot of our other chronic pain treatments. For neuropathic pain, which is pain related to nerve damage, or nerves not functioning properly, you can see some evidence for medical marijuana's effectiveness. Some patients do respond, and do get better, but it's only about 20 or 30 percent on average. It's amazing how that figure creeps up on many of the chronic pain treatments we have — 20 to 30 percent of patients will get a significant response. The other point is this idea of using medical marijuana instead of opioids. There's very little data on that, but it's an issue that many pain specialists are starting to explore. If it's reasonable to certify someone on medical marijuana, can you use that as a way to decrease the use of opioids? Since there's a wide menu of options besides opioids, why do you think millions of Americans every year use opioids — and likely a much smaller number of people are using all of these other things that we're talking about? The recent study in JAMA gets to this issue nicely. A key message from that study is that if you're treating chronic pain, and you prescribe opioids or nonopioids, both groups of patients get significantly better. More than 50 percent in both groups had significant improvements in pain or function. So you can understand why opioids might be prescribed first, because they still are, and always will be, regarded as some of the most powerful analgesics that we have. There's a second part to this: If the nonopioid medications and modalities, like physical therapy, aren't readily available to patients, and the resources aren't there for comprehensive pain treatment, then you can imagine that the default option becomes opioids. Patients do get better on them. It may not be a very long lasting effect, we don't know. But that may be the only tool, sadly, that many physicians have available to them at the time. After my husband had surgery, the discharge doctor wrote him a 30-day opioid prescription. When I asked her, "Why are you prescribing 30 days?" she said, "Well, that's just how it's done." This is a really hot topic in the fields of surgery and anesthesiology, and there have been a number of studies that have come out in the past few years looking exactly at this issue, and trying to get at the exact amount of time that someone should be prescribed opioids after surgery. It may vary by surgery. It's an issue that many, many health care systems, including ours, are really tackling to avoid prolonged opioid use after surgery. Now that the opioid crisis is on everyone's mind, why do I feel like a bad person? Why am I looked at suspiciously by medical personnel? Am I wrong to want to continue taking the drug that alleviates my torturous pain? — Barbara Huffman, Lawrenceville, Ga.
We see this so much as pain specialists, that patients who have been on appropriate doses of opioids, for appropriate time, and doing very well, having good pain control, do get stigmatized. And that's an important negative consequence of the opioid epidemic and the increased scrutiny. Patients that are prescribed opioids for pain are not the same as people who use opioids for the psychoactive effect, such as using them to get high. Of course there are people with chronic pain who can become addicted, but that is a very tiny subset, really, of patients. I've taken prescription opioids for 15 years, after trying many other options. Opiates have been a godsend to a certain factor of the population that suffers horrible pain. We are not terminal cancer patients; we are people with a life ahead of us if only we could live it. We, the patients, are terrified of being swept up in the storm of opiate rejection and having our medicines taken away from us. Should people be worried? — Helen Stevens, Hagerstown, Md. One of the key things that the recent study in JAMA, and others, try and can't answer ... is ... what do you do if the nonopioids don't work? Is it reasonable to put people on opioids? And there is literature that suggests yes. 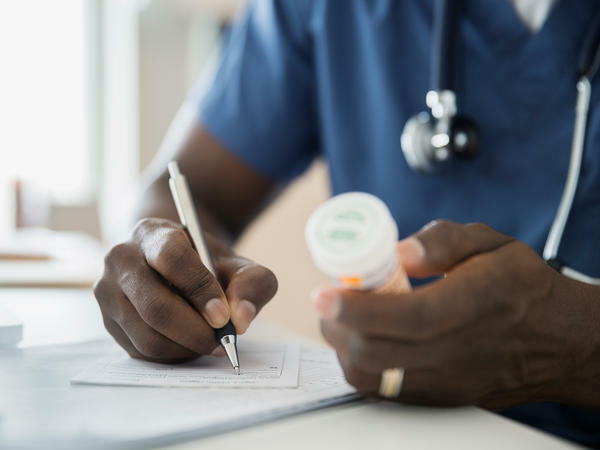 All pain specialists have patients in their practice who do well on opioids for many years; many of them are on lower doses and do not have tolerance. It's all about this issue of responders and nonresponders. When you read studies, they average everyone together. So some people do well on opioids and some people do poorly, but there's always a spread. And that's a key thing that's missing from the debate, and the controversy. There are responders and nonresponders, and we need to do a better job of identifying them, and also spreading that word to physicians, that there are people who can be on opioids for many years without having any problems with addiction or abuse. So there are a lot of long-term side effects, potentially. Some of them are dose related, but there aren't that many studies tracking people who are on opioids for more than 12 months. Besides the gastrointestinal effects, decreased testosterone can affect men and women, and that might lead to early osteoporosis. You can have other effects on your adrenal gland, and your ability to make cortisol. It can affect the immune system, so the immune system doesn't get compromised, but immunity as a whole does not seem as strong. These are associations, so there's no causality, but long-term opioid use is associated with a slightly higher risk of cancer. Opioids can increase the chances that people can become depressed, if they have chronic pain. That's a difficult thing to tease out, but even when you account for all these various associations between pain and depression, it does seem that the opioids themselves are associated with a higher rate of developing depression. Because they are, as a class of drugs, depressants. The audio version of this interview was edited and produced by NPR's Selena Simmons-Duffin and Andrea Hsu.